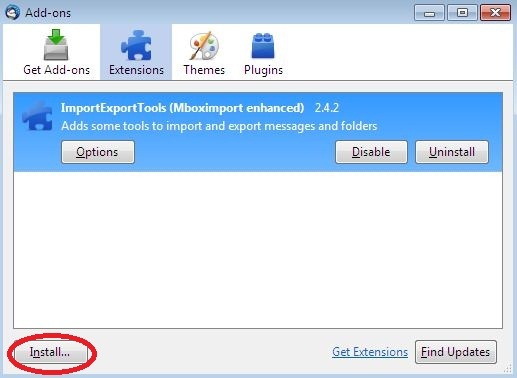 In the ImportExportTools window, click “Export directories”. 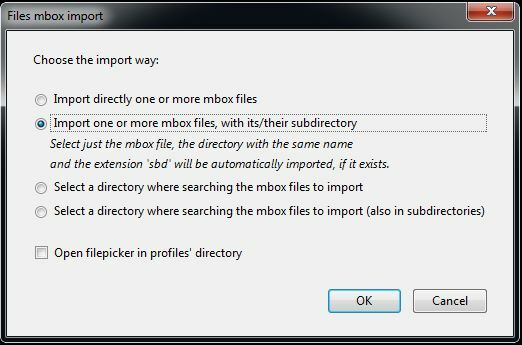 Then set the export folder for MBOX files. This is where your mail will be exported to. It is important to select a location that has sufficient space to backup your mail to. 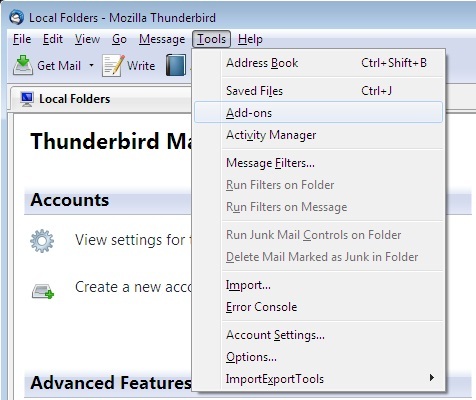 You have now installed and configured the export mail add-on to Thunderbird. NOTE: This add-on can only export one folder at a time. If you attempt to export several folders simultaneously it will fail. In the bottom status bar of Thunderbird you should see “downloading message…” and a progress bar. Once the export process has been completed, you can export the next folder. For large folders, 100MB, the export process can take several minutes. 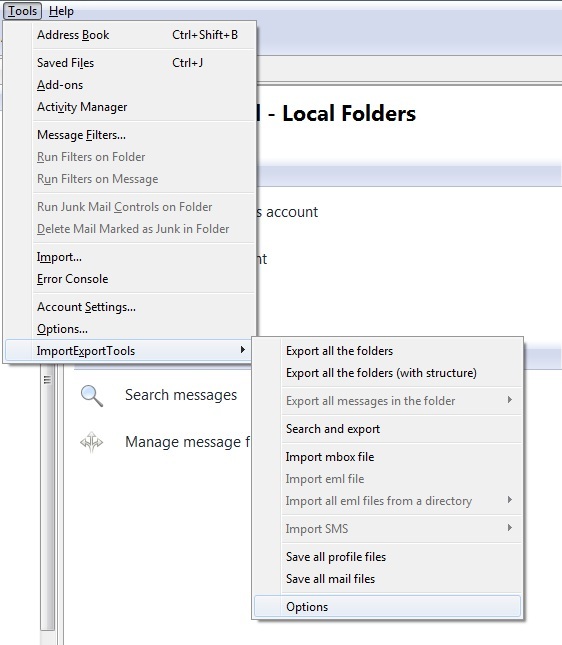 Locate and double click the folder containing the exported mail. 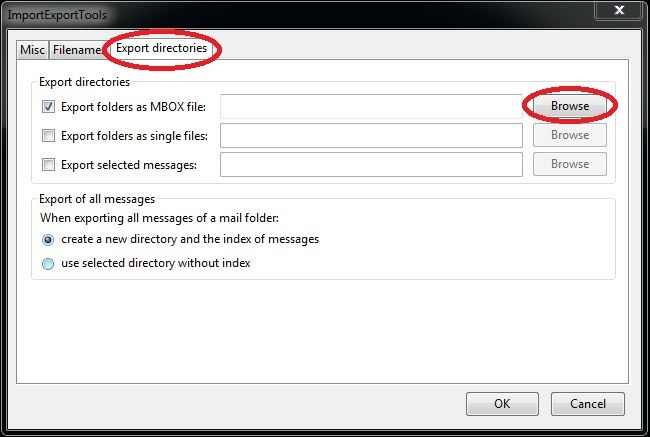 If you wish to access a subfolder, you will need to navigate down the folder tree to that folder. Your achieved mail folder has now been loaded as a local mail folder onto your computer. You can reply and forward these emails. Please be aware that these imported emails are saved locally and are not an IMAPed folder.